The latest edition of this bestselling reference brings Unix into the 21st century.It's been reworked to keep current with the broader state of Unix in today's world and highlight the strengths of this operating system in all its various flavors. As Unix has progressed, certain commands that were once critical have fallen into disuse.To that end, the book has also dropped material that is no longer relevant, keeping it taut and current. Unix in a Nutshell is the standard desktopreference, without question. (Manpages come in a close second.) With aclean layout and superior command tables available at a glance,O'Reilly's third edition of Nutshell is an essential to own. Like a dictionary, Unix in a Nutshell helps you find what youneed, even if you're not exactly sure what you're looking for (or howto spell it!). 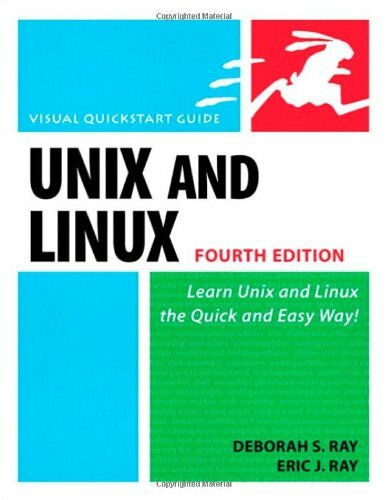 With that in mind, this book is for intermediate toadvanced users only--those new to the Unix operating system would bebetter off with Learning the Unix OperatingSystem or Unix:Visual Quickstart Guide. It's a wast of money. Use the internet if you want a reference. OK. This book can teach you NOTHING about UNIX. It's about 800 pages, and 90% of it is just a list of commands, or a list of different options each command takes. If you actually want to learn something about UNIX this book is not for you. This book is just an unorganized reference. This is a great reference book.My only complaint is that I wish there was a section covering some BSD commands and in the sections already present, some networking commands as well (like another reader already mentioned).Otherwise a great all-around book. 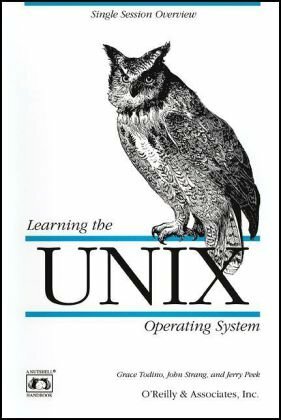 Let me start off by saying that if you are looking for a introductory book about Unix and you have no experience with Unix OS whatsoever, this is not a book for you.If you are new to Unix OS, then you should consider buying the O'Reilly book,"Learning the Unix Operating System." Like the cover page says, this book is a reference book.This book covers GNU/Linux OS, Mac OS, Solaris OS, Unix commands, Bash Shells, Korn Shells, package management, emacs editor, and many other information that are very useful to Unix programmers, system administrators, and Unix users. If you have a bit of experience with Unix, this book should be a must. This is in my opinion the best UNIX reference book on the market today. If you need to program or work in the OS you should own this book. I've got two versions of this book: the blue cover version and the one that came in my CD bookshelf. I'm usually quite positive about nutshell books. Usually. Yesterday I was flipping through and noticed there was no entry for "mount" or "umount" either. You should probably own one of these if you have a job in the Unix computing biz, but before long you might find yourself asking "what will I need today that won't be in a nutshell?" This book is great compared to other UNIX that I have read. It has a good overview on every topic discussed in this book. This is one of the best admin books I have.Easy to read -- the knidle edition is well formatted and a lot lighter than the paper book. The fourth updated edition of Evi Nemeth, et.al. 's UNIX AND LINUX SYSTEM ADMINISTRATION HANDBOOK provides a winning edition of a classic reference, packing in approaches to Unix and Linux systems for new administrators and experienced pros like. 'Best practices' for all system management needs explore different options in configuration, scripting and virtualization, covering security and IT needs alike. From restoring systems after a failure to new options, this is a pick for any computer library, especially recommended for its easy language and candid approaches to common systems issues. Not your average Linux book. Also not designed to teach you how to run Linux in your basement (but you can take everything they say and still apply yourself to that if you choose.) I was almost scared off when I read that in the preface, since I didn't have large systems to test on.Fear not however, the book is a masterpiece and even non-pro users will find themselves discovering the power of Unix/Linux, and I mean the full power, they don't leave many stones unturned in this book. However this book is targeted to larger system deployments and real world large systems.Which is fantastic, everything to get Linux users to the 'next' level is here.IT/IS professionals who have for the most part mastered basic *Nix commands will find this book extraordinary.I have the e-book version of this, but I really needed to get the paper one too.That is how good this is, and I have read just about everything in it at this point. The book is well laid out, unlike my review it stays focused within each section.So much content is in here I can't even pull out half of the parts I found useful so I won't even try. If you're a Unix/Linux user (IT/IS pro), buy it.If you're learning how to walk in Linux, you might want to stay away for a little bit, though it does do a reasonable job of refreshing the memory of most users, there is not THAT much introductory level information in this book to get you all the way up to speed.If you're ambitious enough I guess a new user could make use of this book, but I would suggest reading other material before this. Best Linux book I have purchased ever to date. The 3rd edition is great, the 4th edition updates that greatness. This book had been out for about a week when I noticed it and I had to get my hands on it! There is a change I am bummed out about... They removed FreeBSD as one of their example systems but included OpenSolaris ( Oracle killed OpenSolaris after buying Sun). Thankfully FreeBSD has it's own Bible, Absolute FreeBSD: The Complete Guide to FreeBSD, 2nd Edition, by Michael W. Lucas ( must have for FreeBSD admins). Besides the OpenSolaris/FreeBSD change, this is still a solid book worthy of 5 stars. Since this might be the last edition of The Handbook I am glad to see an update. 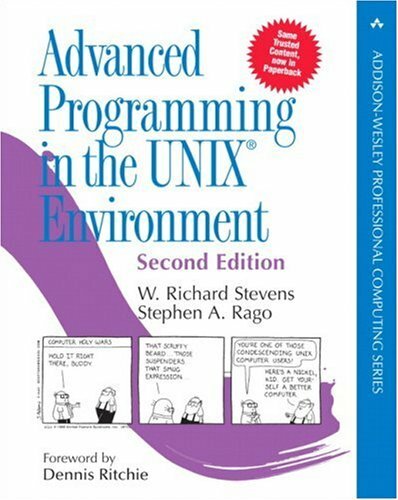 There is more Linux in this edition compared to the 3rd, they added a great introduction to scripting chapter, updated chapters for with the latest technologies, and removed references and chapters on obsolete tech. The title of this book invites comment. 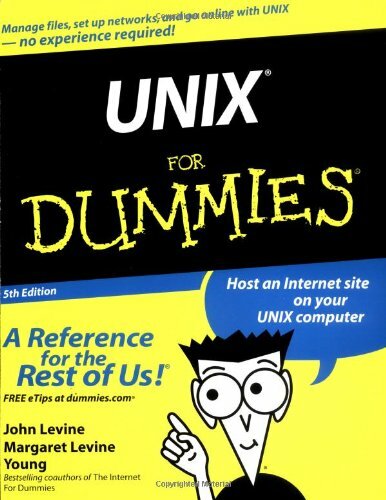 "Some thingsweren't meant for dummies and Unix is one of them," you mightsay. Wrong! Levine and Young take advantage of the Dummies format'sstrength with command-line operating systems. They flatten thelearning curve and have even the greenest beginner doing useful workwith Unix in mere hours. Once you get past a couple of pointlesschapters about offering pizza to Unix experts in exchange for help,you'll find conceptual explanations of files, directories,permissions, and redirection. Command explanations take a hybrid form;they mix "type this verbatim" statements with tables showingswitches and parameters. Much of Unix for Dummies istask-oriented. You'll find a whole chapter on printing, for example,that covers the commands you'll need to know to format and print adocument on the right printer. Other chapters cover file searches,software installation, and X Windows navigation. The book alsoprovides cursory coverage of four text editors--ED, vi, Emacs, andpico--but you learn little more than how to enter and save text ineach. Levine and Young include an eminently useful"DOS-to-Unix Rosetta Stone" that immediately tells you, forexample, that the approximate Unix equivalent of DOS's copy is cp. DOSexperts who are new transplants to a Unix environment will appreciatethis translation guide. The authors wrap up with a wealth of basictroubleshooting information and a command reference. This book is VERY Helpful and entertaining, if a book on a computer language could ever be described that way.Best few dollars I ever spent. Figured i would buy this entry level text to learn some basics of unix on a Mac. Big Mistake! Entry level text books should be written on the lowest level, this seems to be written for intermediate level users. Very disappointing. I will stay away from this ______ for Dummies books in the future. Great reference book for a beginner! I never worked with unix before and when I found myself suddenly unemployed I thought I needed to learn and learn quickly. So I got this book because I am very fond of all the "for dummies" books. This one is just like the others, it explains the topic clearly and makes it easy for everyone to understand with basics pointed out and examples to help make everything clear and understandable. This book most likely will be of no use to anyone that is a power unix user, but for a beginner it is a great book to get you started. 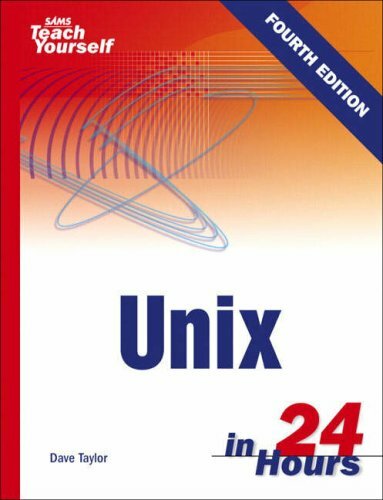 I now have a job where I use unix commands daily and this book helped me learn the basics. This was my first UNIX book, back in 1998., and it was a great introduction. I always get sentimental when I see on the shelf! 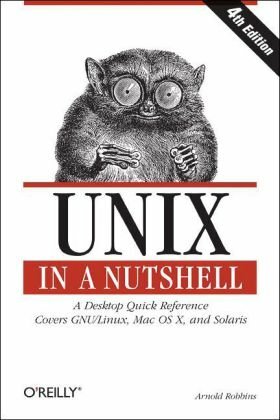 Ten years later, I can't imagine my life without Unix (in its various varieties) -- and I'm sure that this book deserves part of credit for that. As I said, this is a great introduction -- but after reading it, you should immediately move to another, more advanced book. UNIX for Dummies is a really good book for anyone who is learning about UNIX and how to do the commands and scripts. I used this book in college to help me get through UNIX. I have only recently been converted to Unix. But in my three months before I had this book I knew about 60% of what is already in this book. However the book has several subjects that I did not know that were of great interest to me and also I learned in greater detail a lot of core ideas. This book is an easy read - I finished it by just reading a chapter or two a day in my spare time. I from time to time use it as a reference now too. For someone looking to learn more about unix that doesn't already know a whole lot this book is great. Other than that it will just be a good reference for a few of the more obscure things you use every once in a while. The book does a good job with stepping into the world of UNIX. I felt the book is a good beginner's guide that will prepare you for further indepth education of the UNIX environment. If your a UNIX virgin, (and I was!) this is a good working companion to practice your skills and achieve a better grasp of the UNIX command line utilities and tools. It has a good structured approach to working with the systems from day one. Don't try to blow through it. Do the reading and the practices and you'll get a better understanding of the systems. Excellent addition to your UNIX sysadmin library! As is the rule for the "Sams Teach Yourself ..." line, this book is a good addition to your library - both as a learning guide and a reference.Dave Taylor is very knowledgeable and a very clear writer. I am probably not the typical reader as I have an extensive background with UNIX/Linux and have played "systems administrator" several times over my career.I have even developed several training syllabi for new UNIX users.Still, I found this to be a very useful book.There are some precious tidbits that were new to me, and his discussion of differences between various flavors of UNIX/Linux currently available is also helpful. For a "self starter," this book and a UNIX/Linux playground is all you need to become a halfway decent system administrator.It isn't the only book you'll ever need, but it will get you a long way! Having tried to get into the Linux/Unix world a few times unsuccessfully in the past.I found this book to be the much needed foundation to get started. It is an excellent guide for someone wishing to obtain a firm foundation to the heady underworld of Unix/Linux.Particularly for those who have no idea where to begin there education/learning of Unix/Linux.The book explains everything from the, initially confusing, file structure to basic commands and how to complete what are mundane but essential tasks.i.e., copying files, file permissions, figuring out where you are in the file structure etc. Be aware though that this book tries to be non-OS specific and is focused on the command line and functionality/structure of linux.It does not explain how to burn CD's, play music, setup networking etc.However it will give the much needed grounding in order to complete such "higher level" functionality. This book should be a required reading not only for beginning Linux, Mac OS X, and Unix programmers, but also for most unix users and all system administrators. Yes, this book is very out of date. Some shell and C language syntax in it might not be just out of date, it might be simply invalid under current implementations! Yet, amazingly, possibly +90% of the examples will still work on unix systems, even though the book was written more than 25 years ago. This text is not meant to be a cookbook-type source of shell and C language code snippets. 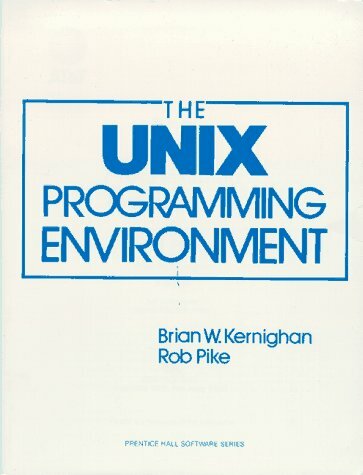 The value of this text lies in its ability to convey the philosophy of the Unix environment, from users' and programmers' perspective. This book illustrates how one can combine the standard unix tools: the shell, the grep, the sed, and the awk languages to solve practical problems. It also introduces the unix toolkit for C programming and the unix documentation system. Now, I do want to admit that some stuff in this text is embarrassingly out of date. There are some shell commands that will not work on modern Unix implementations. The C code is using the K&R C style. That's still valid syntax, but also relatively archaic and older than what's taught in the second edition of K&R. The desktop calculator written in C with help of lex and yacc is very neat, but the more advanced versions of it will not compile with a modern version of gcc (2.7.x and older). (Finding out why is a nice exercise in debugging C code, and may potentially drive you mad). The signal handling examples for the C language as presented in this book are out of date and unreliable (see APUE on the reasons for this). If the syntax of the code examples was updated to be in touch with 21st century, even without adding any new content to the book, that would still make this book the most awesome beginner Unix text written. Due to being out of date, I think it earns a score somewhere between 3 and 4 stars. This text should be followed by O'Reilly's "Unix Power Tools" and, if you intend to write Unix software, the most recent edition of APUE. With the growth of MacOS X and programmers looking how to take better advantage of the UNIX/Darwin/Mach underpinnings of the system, there is a great need for something to educate programmers on the basics of how to best take advantage of this environment. This book, affectionately known as K&P by some of us "old timers," continues to relevant, even after more than 20 years since its first publication. Sure, there are more "up to date" books, but K&P's treatment of the basics are the best. The book is full of discussions on best practices and uses for common commands that are still in use today. They show how to build the constructs to make shell scripts fly, even on today's faster hardware. The treatment of C programming under UNIX is classic. If you did not learn C by reading "The C Programming Language" by Kernighan and Dennis Ritchie (K&R), then the chapter on building a calculator with lex and yacc will be a difficult read. But other than that, this book is a must-have for anyone learning to program under UNIX! In spite of its advanced age, this book is still relevant and explains many topics better than much newer books on the various flavors of UNIX. Although there are better books on the specific flavors of UNIX available today, no other book does as good a job of explaining the philosophy of generic UNIX and its intrinsic relationship to the C programming language. The book starts out talking about invoking common commands from the command line, the UNIX file system, and then moves on to "filtering"- which in this context means feeding the output of one command into the input of another command until you obtain the output you desire. Next shell programming is introduced along with sed and awk, which are the oldest of the UNIX scripting languages. Finally, we exhaust what can be done with sed, awk, and scripts consisting of UNIX commands already in existence. So, the authors show us how to "roll our own" UNIX commands by writing C programs and invoking their executable versions just like a UNIX command would be invoked. This part of the book is not meant to be a tutorial on the C programming language, so the reader should already know C or have another source for learning it. As an addendum to the section on C programming and UNIX, the authors illustrate how to use the UNIX system calls to build a richer set of commands. These system calls are interfaces to the UNIX OS kernel and provide a means for the programmer/user to access I/O, create and access files and directories, process errors, manage and create processes, and handle signals - which are the UNIX version of interrupts and exceptions. The book closes with a discussion of yacc and lex and illustrates how they can be used to build a calculator for use in the UNIX environment. This is a very "hands on" kind of book, so you should have access to a UNIX based system that has a C compiler handy so that you can type in the commands and do the exercises as you read along in the book. 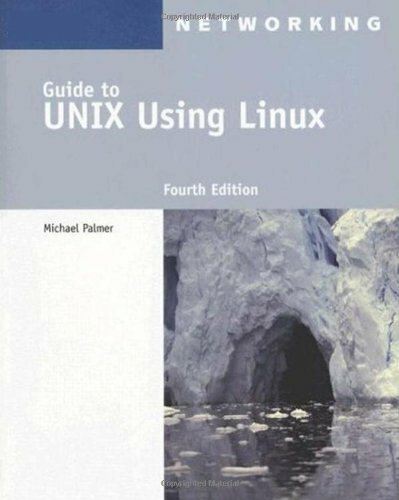 If you are a beginner to the world of UNIX, regardless of the flavor that you are ultimately interested in using, this is a great book to get your feet wet and to understand the power of this operating system. This book is the best book on programming on Unix. It is very practical, and it gives you a good understanding of the philosophy of the Unix system and how to use it. The mark of a craftsman is his familiarity with his tools, the speed with which he can use them to solve simple problems, and his cleverness in using them to solve more complicated challenges. 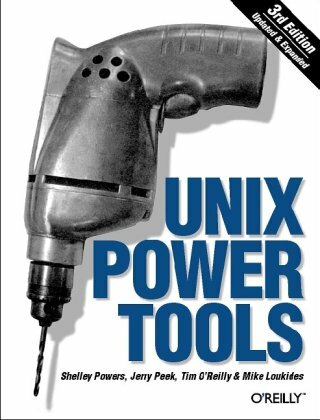 The latest edition of Unix Power Tools explores the standard Unix tools in greater depth than ever, and with better coverage of Linux, FreeBSD, and even the Darwin environment of Mac OS X. It's also been improved by the addition of sections on Perl and Python, programming languages that can often solve Unix problems more adeptly than any specific utility. This detail-filled book distinguishes itself from other guides for Unix gurus with its organizational structure (it's a series of articles that can be absorbed sequentially or individually) and carefully designed and executed index. Like its esteemed predecessors, this book is one you will keep handy. This is my all time favorite Unix book. If my house burnt down, this book would be high on the list for replacement. It's an older book, but then it's a true sign of quality when a computer book is still in frequent use, 8 years after it was first bought. I used to own the previous edition, and quickly bought this edition when it was published. There is so much extremely useful information packed into this book, you simply cannot go wrong buying it. I strongly recommend it to anyone who is getting serious about any Unix - Linux, AIX, HP-UX etc. When I first bought this book I only knew how to do basic things like moving around directories, opening files with VI, and restarting servers. There were lots of other things I knew I wanted to do but didn't know the commands for. This book helped me learn the commands I needed. Alternatively, I could have Googled for answers but I would have spent more time sifting through Experts Exchange than I would have finding what I needed. Unix Power Tools is well organized and has the answer to pretty much any basic question while also having intermediate and advanced content. Plus, when I did find an answer, it was usually concise yet informative with a few concrete examples. One downside is that the sections are written by different people so some are better than others. Also, although I prefer concise answers, some may be a little too concise. Either way, I don't have experience with a lot of Unix reference books, but I can see why this one was so highly recommended. I can say for sure it has everything a Unix n00b needs. While some might argue that this book is nothing more than some exerpts from man pages, I must say I really love it. I always prefer a dead tree version over a digital one and this book is quickly becoming a cornerstone of my IT-related library. There's really nothing I can say in this review that isn't blatantly obvious from skimming the table of contents/sample pages from the product page here. It's a good book for understanding the low-level aspects of the common linux variants and how to do mundane, useful tasks from the command line, and I leave it in the john so I can skim through it and learn something while making my communion with nature. However, what I find incredibly annoying and distracting is the authors' need to mindlessly put their initials after each paragraph that they write. The cover of the book says it all - there are four authors, and they wrote the book. Great. Good for them. They wrote a book. There's no need to remind the reader of every little inch of text that each of the four authors has individually contributed. It seems unprofessional, childish, and I've never seen anything like it anywhere before. The subject is not rocket science (most of the topics documented have been living in *nix systems for ages) and they didn't create any of it; they're simply telling us about it. I mean, did these people say to themselves, "Wow! look at me! I wrote the section called 'The Superuser (Root)' and there are my initials to tell the world (and my grandma) about it; signed, '-ML.'" It's not like 'ML' actually had anything at all to do with creation of the concept of the superuser, so why does he/she feel the need to point out specifically to us that they wrote 3 little paragraphs describing it? I mean, if 'ML' was doing such great things, he/she probably would be doing far better things in life than writing books that folks like me read in the toilet. If I bought a car, and everyone who'd designed every little piece of it felt the compulsion to put their initials on each little piece, people would laugh at me in such a car...but luckily this book lives in my bathroom where few people see it. The consequent addition of maybe 50 pages that all of this superfluous initialing has created (ah ha! now I understand why they did it!) costs a star. Otherwise it would be a solid 4 star effort. This book is a pleasure to flip through. Unix Masters share tips that they use to save time and be more effective. These precious jewels of information are not easily found on forums or in man pages. Unix Shell Programming is a tutorial aimed at helping Unix and Linux users get optimal performance out of their operating out of their operating system.It shows them how to take control of their systems and work efficiently by harnessing the power of the shell to solve common problems.The reader learns everything he or she needs to know to customize the way a Unix system responds. 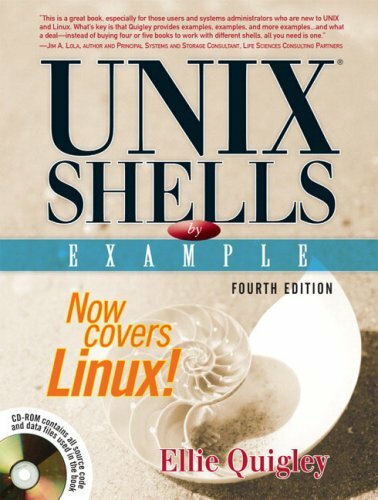 The vast majority of Unix users utilize the Korn shell or some variant of the Bourne shell, such as bash.Three are covered in the third edition of Unix Shell Programming.It begins with a generalized tutorial of Unix and tools and then moves into detailed coverage of shell programming. i found this book very helpful in learning unix shell programming it is very illustrative with easy to understand examples. Great Unix shell programming book.Focuses on unix commands and shell, not unix administration. Book arrived quickly and in excellent shape. This is my second copy.I made the mistake of loaning out the previous copy, and it grew legs and disappeared.They got the old edition, and now I have the new one. 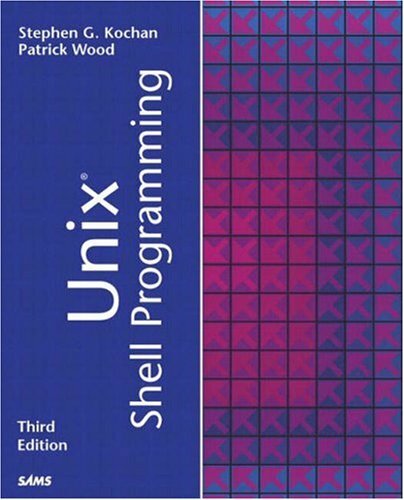 "Unix Shell Programming" is loaded with good information.I only get to write shell scripts once in awhile, and sometimes I really need the book as a reference to refresh my memory.And, there are plenty of examples in the book.Great for newbies, and great reference for us old-timers. Great unix book. I had little unix experience and the book was just right for me. I've only read the first 4 chapters but have picked up a lot already. This book doesn't theoretically require one to know anything about programming. Still, it is quite helpful to have experience with some programming language, since comparisons with other languages (particularly C) are pretty frequent and often used to explain certain concepts. More than that, experience with the UNIX/Linux environment definitely helps. The book starts off with a basic review of some useful shell commands (from ls to grep passing thru regular expressions). It then goes on to explain how to link these commands together (pipes, variables, loops etc.) to make useful scripts to handle common and not too complicated system administration tasks. At the end of the book there also is a quite useful summary of shell commands which works as some sort of reference. The writing style is clear, and attention is paid to warn the user from falling in common syntax errors such as misuse of quotes, and how and why they can lead to results quite different to those one would expect. The main drawback i found, is that the examples presented are most of the times way too simple. That can surely help people with little confidence in programming, but may bore people that do already have programming knowledge and wish to be introduced to more complex tasks more rapidly. As someone who's programmed on Unix for many years, I've known about esr for some time, and probably should thank him for being part of a chorus that encouraged me to learn things like Lisp.That said, my honest opinion of this book is that it's a waste of paper and approximately the quality of a typical esr blog post. First of all, this book is not really about Unix programming.A full half of it is dedicated to rehashing the Unix philosophy, history, and community.Yes, these topics should come up, but at some point I want to read about Unix programming, which is why I am reading a book with that phrase in the title.None of this stuff has anything to do with programming, and is just as applicable to end users. The other half is supposedly programming related, but upon closer inspection, mostly isn't.Major topics include things like tools, config file formats, and a lot of general stuff that applies in non-Unix development too (like VCS and network protocols).Where's the system programming tips, POSIX standards, standard libraries, ioctl, BSD sockets, security considerations, and any number of hundreds of other things anyone who's programmed on a Unix-variant encounters?Yes, the book claims to not want to talk about these things, but guess what, that's what Unix programming is all about. Languages (you know, the thing you actually program in) are completely glossed over, except to just list a few common ones.Half of the ones mentioned are so portable, that programmers in them can ignore OS peculiarities the vast majority of the time (Java, Python, Emacs Lisp).C, C++, and shell are very tightly coupled to Unix, and much could have been said here, but isn't.Instead of code, we're treated to reams of config file examples and other filler. The various aspects of The Unix Way could have been stated in a single chapter.Someone interested in becoming a Unix programmer needs to know where to go to find documentation, what development resources he has available, and other practical things.An MS programmer reading this book would be just as clueless on how to start programming on Unix as before.Go pick up Advanced Programming in the UNIX Environment if you want to learn this subject. By that I mean I had learned quit a lot, but hadn't been able to pull it all together. This book went a long way toward doing so. The sections on Design and Implementation could be expanded to a good book, they gave me an understanding of Linux, what to look for in software for Linux, and how to approach programming for Linux. Design and Implementation both used case studies of specific packages, some of which I now use. I only wish this careful dissection was available for more software. The other two sections, Context and Community would also make up a good free-standing book. They explains how Unix became what it is (Context) and where it is going now (Community). Any way, great book, and I would give it 10 stars for two books if that ever happen. Eric S. Raymond is a controversial open source developer and evangelist. The true is that he has a good points and ideias of how to develop using the unix pratices (eg. the practice of separation and program specialization). I love unix (any flavor), it is by far the best operating system for a wise developers. The advice of Eric really makes sense for someone used to work with unix, and I put a lot of his advice to good use. I recommend this book to an intermediate/advance unix programmer/analyst. The author does a great job explaining the Unix tradition and where it came from. This book is filled with design considerations and high level concepts related to programming techniques. It gives a clear insight into what went in one's mind when designing many of the programs that are so common to Unix. 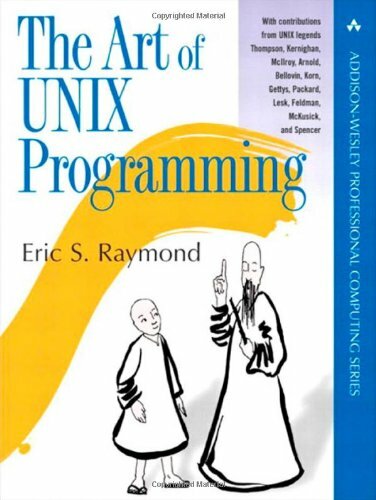 I think you will enjoy this book if you have had basic exposure to Unix (even as just a regular user), and some basic exposure to programming. This at least is the overarching message conveyed both directly and incidentally throughout Raymond's book. Unix in the concrete, non-abstraced sense has died and been replaced in practice by Linux and with the former solidly displaced from the market we can apparently begin to take to the bold liberty of refering to Linux interchangably with Unix's name. From the title the book advertises itself to be about Unix but from the opening chapters documenting the history and progression of Unix there is a clear effort to re-cast the decades long history and family tree of Unix operating systems into a footnote to the modern re-implementation in Linux and even the overall open-source movement at large. All of which the various originating UNIX architects solicited for in-line commentary seem to be conspicuously silent about. This is impressively maintained through the rest of the book without any substantial mention of BSD-derived operating systems or OSX beyond the opening of the text. Sadly, for what praises can be offered for this book, it's notable and distracting that Raymond suffers from a stark habit of inserting a number of personal biases and pet causes into his prose, as this book actually does otherwise serve a novel and admirable use in the valuable documentation of history and culture in passing eras of computing and development. The close-knit communal spirit of timesharing on minicomputers in Bell Labs is seized on as a faint archetype of modern distributed OSS development while Ritchie, Thompson and the rest are curiously painted as disheveled and counter-cultural "hippies" "flipping a finger at the system", never mind these were the same hippies who would stay along for the ride on the side of Ma Bell and SVRx against the Berkeley Academia as the Unix market cannibalized itself in the late 80's. While nonetheless engrossing in its own right, there's some degree of romanticism and embelishment laced in the presentation of Unix history here, and unsurprisingly it tends to err quite clearly on the side of presenting the the earliest days of Unix as a directed progression toward the wider quasi-social movement of collaborative development and open-source software. This kind of disquieting historical reinterpetation and editorialization continues throughout in places both trivial and not: Raymond, for instance, clearly has a low personal opinion of Richard Stallman's attempted infusion of moral context into the realm of Free software development and regrettably manifests this, rightly or wrongly, in the unsubstantiated assertion that Stallman has been popularly marginalized, thereby imposing his personally-held disdain for FSF priniples on OSS developers at large. He can do this, you see, because he is authoring history. Other varying idiosyncracies crop up: anywhere Perl is mentioned, Python (Eric's personal favorite scripting language) will appear by it's side. Emacs Lisp is inexplicably offered alongside established systems programming and RAD languages as a choice for a general-purpose programming language. And on the topic of Emacs, a partisan argument for rationalizing Emacs's notorious feature creep is presented in the form of describing it as a general extensible scripting framework in harmony with the Unix philosophy of modularity, rather than a conspicuously bloated but still useful text editor. This of course, is accompanied by apparently obligatory potshots taken at vi and Vim. It's less alarming that he'd reasonably arrive at a spirited opinion of this sort of thing than that minor personal convictions and editor war ammunation essays such as these would find their way into a text purporting to immortalize and document the Unix culture for all to refer to. The less inflammatory parts of the book can laregly be summarized as case studies of the Unix spirit of design, effectively all of which can be distilled at some level as interpretations of the general KISS philosophy, which for the uninitiated basically translate to explicit warnings against overengineering. I'm suspicious of how much of this is simultaneously revelatory and actionable, but I suppose it's easy for ideas like these to be lost in the modern age of professional software development. Moreover, as this book explicitly aims to convey unquantifiable ideas and culture it's difficult to rate the book in terms of the knowledge imparted; it's a sometimes disjointed accumulation of essays on a wide range of topics spanning Unix history, various shell tools, predictable FOSS cheerleading, licenses and languages. And despite the above criticisms, much of the book actually makes for interesting reading despite the author's clear self-insertion into much of the book; it all actually makes for decent light reading even if the overall value is indeterminate. user will acquire the necessary knowledge, needed to understand the relations between protocol (TCP/IP/SCTP/...) implementation/details and the socket layer functionality. 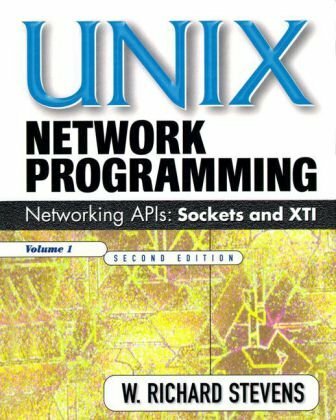 If you are interested in UNIX network programming, this book is THE essential reference. The writing is clear, comprehensive and interesting for what otherwise have been a very dry topic. A must have for any developers library. Mr Stevens is no longer with us, and he will be sorely missed. I bought this book for work.It left me with a good understanding of Multicast and Raw Sockets, the two subjects I was mostly interested in. The Best series of books to learn Network programming from. The BEST in the world. Nothing comes close. If you are reading this review you probably are looking for a comprehensive text on socket programming. Look no further. This is the One. You can stop reading reviews trying to find the perfect one and go hit the Add To Shopping Cart button with confidence. Detailed, comprehensive and clear. A favorite. 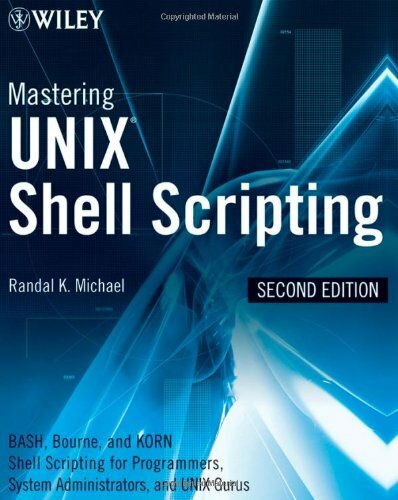 Not a complete review, however for those of us who struggle with getting Unix shell scripting off the ground and understanding how to put a script together from scratch - this book is about a close as I have come across to explaining how to do it. I have read books, done tutorials online, went to classes and still could not grasp how to write a script from scratch, without ripping someone else's script and modifying it. The book teaches you the core of the system and that's what makes it worth the price. Book was for a class and was so good I decided to keep it.The software that comes with it is great too. I love this book, it gave me time to practice a lot of programming and get the feel of a professional programmer! Buy now! This author has become a sure bet for the books I've purchased from him in the past. The only thing I would mention is there is alot of repeated material in the separate titles. I own the "Linux Commandline Shell practical guide" and also the Red Hat/Fedora practical guide. There is probably more then three quarters of the content that is exact. I guess with all instances the OSes are the same but it is just difficult to spend fifty bucks on three or four books only to have som much repeated content. But as I said this author's books are very dependable! I received the book in a good timely manner and in neat professional packaging. Good Job! I recently switched over to using a Mac. I have experience with Windows and Unix, but was confused by the differences in the Mac CLI until I found this book. It has been a real timesaver as well as an education. It is so much faster to use the CLI on a Mac and this book tells you how to get started. It is clearly written and easy to learn from. I highly recommend this to anyone wanting a good grounding in the Mac CLI. My first attempt at learning UNIX. Well-written overview with many pearls. I would highly recommend it to others seeking to understand the basis for Mac OS X. This is a solid introduction and reference book for folks who are GUI-literate but not UNIX folks. (I learned UNIX back around 1982 and have desperately tried to ignore it since. 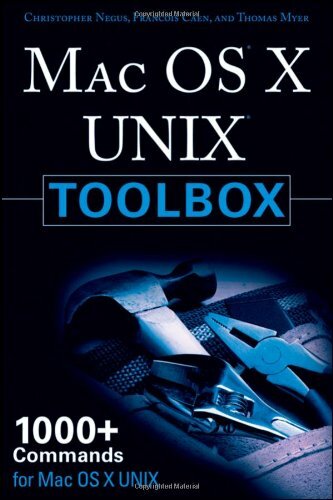 )Much more useful than a general UNIX or Linux book, because it includes the specific aspects of OS X that you need to know about: where things are put, what special utilities are available, how the file system is laid out, OS X system management, etc. It's about time: Mac OS X for Unix Geeks arrives on the scene none too soon for UNIX aficionados who, having heard that the latest editions of Mac OS are based on a UNIX variant, want to see how the platform compares to more venerable versions of the eminently configurable operating system. This book highlights some key differences between the Darwin environment and more conventional UNIXs, enabling people with UNIX experience to take advantage of it as they learn the Mac OS X way of doing things at the command line. This skinny volume neither aims to teach its readers UNIX nor introduce them to the Mac, but rather to show how Apple has implemented UNIX. It's a fast read that assumes--as the title implies--rather a lot of UNIX knowledge. With that requirement satisfied and this book in hand, you're likely to discover aspects of Aqua more quickly than you otherwise would have. Bought this after a co-worker let me borrow their copy ... had to have my own.Definitely helped to understand some of the inner-workings and to correlate with what I'm accustomed to. 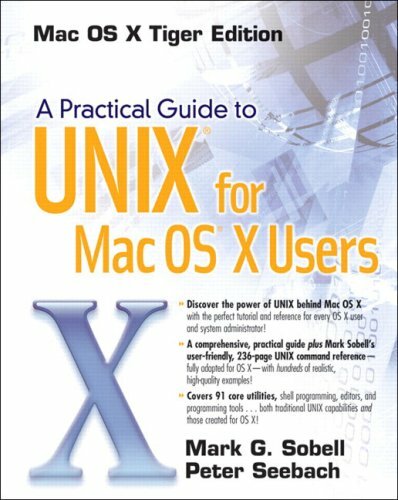 I am very happy to have found this book.I have been using BSD and Linux based platforms for many years now, and I was a little bit blown away by how much there is to adjust to on OS X.This book provided a fantastic set of hints as to where I should look to discover the OS X way of doing things.Highly recommended! experts (or at least, proficient users) to OS X, and it certainly does. I am a longtime Unix/Linux user/expert. I also used MacOS before switching to Windows (partly so I could dual boot into Linux) in ~1998. I just switched back to Mac, largely because Macs now have Unix under the hood and let me run (via virtualization) Windows and Linux simultaneously. I wanted a book to help me understand the things that are similar and different between Mac OS X and Linux. This book was generally good, but had some fluff that I wasn't interested in. In general the book had enough technical details to be useful and I could just skip the fluff. 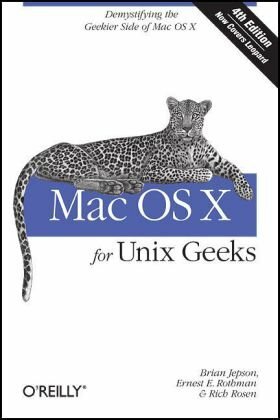 Brian Jepson, Ernest E. Rothman and Rich Rosen's MAC OSX FOR UNIX GEEKS, 4TH EDITION now covers Leopard and offers a fine survey of the 'geekier' side of Mac OS X. This book bridges Apple's Darwin OS and traditional Unix systems, offering insights on how to perform common Unix tasks in Mac OS X's different environment. Learn how to compile code, install open source software through Fink and MacPorts, and more. Unix Shell Scripting 2nd edition is a practical reference book to UNIX shell scripting. There are 954 pages committed to various scripts appropriate for any type of production environment: research, banking, web hosting, personal, security or system administration. Each script is well written. His style is concise and consistent, with shell scripting notation, control statements, and choice of commands commented throughout. You will find that his techniques are sampled over and over. Randal proves a point that there's not one way to write a script but there is one choice better than the rest. In Chapter 2 Randal demonstrates 24 ways to process a file line-by-line. Of the 24 some are slower than others. He shows that with existing UNIX systems functions there are ways to time script execution. Even though the execution time is important he does not forget to mention the importance of system availability and personal identity management. Some script writers don't know how to handle sensitive personal information well. Randal provides a tid-bit on concealing personal identity from eavesdroppers, validating file ownership, and secure data transmission over encrypted protocols. Having any biasness over less secure alternatives is important to mention when a company's asset confidentiality must be 100% reliable and aligned with corporate Security policy. There are chapters on UNIX system availability. Resource availability ensures that services are available for business process to continue. Michael does a good job of providing a holistic approach of application and system availability by providing references to: rysnc, dirvish, oracle database testing, process monitoring, disk capacity monitoring, and swap file monitoring; all the while participating in some sort of notification. I suggest UNIX Shell Scripting by Randal Michael to beginners and non-beginners learning UNIX. Learning by example is an effective way to actually learn the shell. The author provides solutions to very common problems that all industries face and that many default packages don't handle. A moderate background in UNIX command line, configuration, and protocol analysis is recommended; although the author helps to lead the reader through technical obscurity with detailed thoughts. A beginner should take more time to read the fine print and use other sources to complement difficult areas. Thank goodness for this book.It's a big, 3" thick book, that's more of a reference guide to do a bunch of really useful tasks.Example, you "could" start at page 1, but there's no point.Check the TOC or Appendix, pick what you want to learn, and just go directly to it. I'm not as versed in other Unix areas as I'd like to be, thus why I got the book, but it does seem to have a good examples of what's going to work w/ one shell vs. another. It's helped my career out in a big way.Heh, I mean, just tucking my shirt in and carrying a big 3" thick book around makes me appear smart. :-) "Dude, look at that 'Shell scripting' book, it's big, and he has his shirt tucked in today, he means business".Yeah buddy, you got that straight! I don't think this is for beginners, like me, it doesn't "explain" a lot of what you're doing, at least in the detail that my cat-like brain needs, but hey, that's what Google's for.What it does give the beginner, is lots of questions to take else where, and I learned from those other areas.Example, I joined "unix.com's" forums because of this book, there I met a bunch of people that are so insanely smart, it's "insane", (seriously, how in the world do people know this stuff?One of the coolest websites I've been to was "nobodyisbornwithlinuxknowledge.com", or something like that).It also gives us beginners the concept behind what it's doing, therefore, you're now smart enough to ask the mighty oracle called "Google" the right question, to get the right answer. I love this book, period, and I hate 3" books, particularly 3" books that are of a technical content.The information in this book is very valuable, moreso, it encouraged me to spread out to other areas, and it opened me up, to the open source world.Am I a scripting genius w/ this book in my hands, no, did I write 3 scripts w/in a month that is going to save my group a lot of money and man power, yes, yes yes!Did it make this lazy man's job easier, oh my yes. This book is OK in the sense that it teaches scripting with examples, but it lacks in completeness. It is good for learning (tutorial type), but it is not good for a reference book. Shop around if you already know scripting but want to master it. I have been a Unix Systems Administrator for ten years but am weak in creating my own Unix shell scripts. I currently administer hundreds of enterprise class Unix servers with AIX, Solaris and RHEL for a major corporation. I bought this book to help me understand scripting more and to help me learn how to write my own scripts instead of copying other peoples scripts. After reading this book, I now can create my own scripts, from scratch and completely understand other peoples scripts. This book explains the syntax of every scripting technique, character...etc. The examples in this book are great and provide many real world techniques to help any System Administrator do their job more efficiently and ultimately faster. Thank You Mr. Randal Michael! 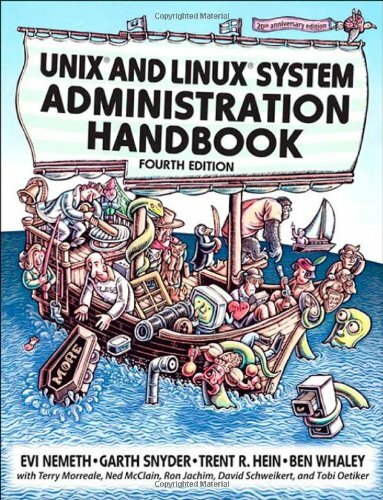 I would highly recommend this book to the new Unix System Administrator all the way up to the seasoned expert! Perhaps you are a programmer or sysadmin of a heterogeneous network of unix and linux machines. Where the unixes hail from different vendors. Think Solaris, HP-UX, AIX and the Macintosh. (Yes, the Mac runs a descendent of Mach, which is a dialect of unix.) And maybe the linux boxes have different distros. This book spans the gamut of most unixes (I include linux in this). Helping you easily write shell scripts, without taking sides over which unix or linux version is better. The second ecumenical aspect is that it also avoids favouring any of the 3 major unix shells - Borne, Korn and bash. In some newsgroups, there has been a tedious and interminable debate about the relative virtues of these shells. While one shell might indeed be better than others for a given task, in general they have equivalent functionality. The book's evenhanded approach is one worth emulating. Thoughtfully, the book suggests topics that might be typically useful to sysadmins, and others more suited to programmers. It is not a strict divide. But for sysadmins, you can see discussions about how to monitor disk partitions, or system load and swap space usage. These are often issues germane to your duties. 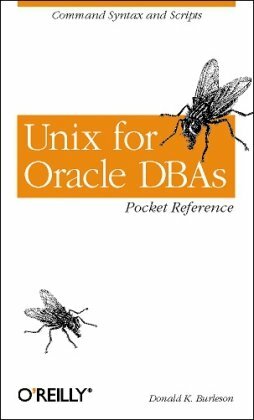 The Unix for Oracle DBAs Pocket Reference has a remarkably tight focus. It's about making Oracle database management systems run optimally under various Unix operating systems, including HP-UX, Sun Solaris, and IBM AIX (there's also some specialized coverage of IRIX and DEC Unix). Author Donald Burleson assumes readers know how to get around the Unix command shell, and that they're quite familiar with Oracle database administration. To put it simply, to get the most out of this book, you should already know what you want to do, and need only to be told concisely how to do it. This book is ideal for people moving from Oracle administration under Windows to the same job under Unix. This booklet contains a collection of shell script code snippets and other UNIX tips for the DBA. Not everything will be useful for everyone, but only the most experienced UNIX geek will fail to find one trick or the other that he did not know before. And what else is UNIX expertise if not knowledge about such little tricks? I especially liked the sections about commands to collect performance statistics for the UNIX boxes your databases run on. You do not normally find these commands in general UNIX books (not even in the meatiest ones) and would have to turn to special UNIX admin books, which might be sort of an overkill for a mere DBA. The book also introduces into some very basic UNIX concepts like piping commands and changing file permissions. This is superfluous as this booklet does by no means repalce a full-fledged UNIX introduction. But if you are a DBA who has already read his "UNIX for Beginners" or the like and who wants to delve a little bit deeper into HP-UX or AIX, than this book is for you. This is a very helpful book which provides a basic overview of using Unix running Oracle. Perhaps the best feature of this book is that the author has spent lot of time providing only the most useful and salient Unix scripts for the Oracle DBA. You will not find any unnecessary or redundant information in this book. In fact, I highly recommend all Oracle DBAs to read this book and memorize all its ideas. 1)Script to kill all Oracle processes. 4)Execute a SQL*Plus Script on all the instances in the enterprise. This booklet is full of usefull Unix commands, most of them at the junior level and just a few more are complex. I used this book maybe 10 times since I bought it a couple of years ago, so I am not sure that I have utilizied my purchase well. Still, I would recommend the book to any DBA who is new to Unix. Decent reference - at least pointing out some interesting options and some things to watch out for at the OS level. As mentioned in other reviews - its HP-UX oriented with nearly as much focus on AIX, but lacks detail on Solaris (and Linux). Fairly well written - but mainly pretty simple content. Just keeps you from looking up the syntax in some cases. If you are new to UNIX its probably worth the purchase. If you are an experienced UNIX professional - find it used to make it a worth-while purchase. or Open VMS and new in unix, thesebook can help you. The second edition of Unix Shells by Examples shows offbasic commands and utilities in the three most popular Unix shells--C,Bourne, and Korn--with side-by-side examples. The new edition of thisbook is sure to be a worthy reference for Unix programmers for gettingaround their favorite shell. The best thing in this new edition isthat the author presents short, effective examples of using basiccommands and utilities for each of the three major Unix shells. Thiscomparative approach means that you can use this book on differentflavors of Unix and even migrate scripts between different shells. Foreach shell, the author provides fundamentals, like accessing profiles,command-line histories, and shell programming. "Lab sections" let youdevelop your skills with short, hands-on exercises for each shell. Asin the earlier edition, the author's short examples show you how toperform basic tasks quickly with common switches and options. Of all the computer books I own (I am a UNIX/Linux system administrator so I have a large library), this is the only book that I kept buying the newest edition when it came out (this is the 5th time I have bought the book). The 1st edition and this edition are the only books I have ever worn out. If you write shell scripts this book is a MUST HAVE for your library. The examples are plentiful and well explained. I am currently training a few junior system admins Linux in general and shell scripting. I have come close to ordering them to buy this book. I admit, I only really use about 1/2 of the book for BASH, SED, and AWK but still, I can not recommend it enough. This book is broad-based in its approach to Unix shells and shell programming, and because it covers so much ground I'm not sure I'd recommend it to new users. However, if you are experienced and don't want to thumb through a dozen different books on Unix, this is the one to own. It has clear and simple examples that will refresh your memory quickly, as well as good illustrations of what is going on as your programs execute. I started out with the 1999 edition of this book, and I've updated as new editions have come along. If you are a newcomer to Unix, I suggest Unix Programming Environment (Prentice-Hall Software Series). It's an oldie but a goodie and takes you from the ground up. That's really something this book doesn't do so well. Once you finish that book, move on to this one. There is some overlap, but I think the added attention will serve you well if you want to be proficient in shell programming and really know what is going on and how to handle various sets of tasks. Amazing book, got it in excellent conditions saving a lot from the normal price. An excellent and comprehensive book for unix shells and scripting. Not a tutorial book like just mentioning about shells and their structures, but also shows application of information that it gives. Examples and explanations teach you all the aspects of a command's or utility's behavior. These give precious hints to the reader. And the answer of the question in your mind : Yes, one can be a good equipped shell programmer nominee if this book is read throughly and carefully. As a last note; this book is the number one education source for new product test engineers in my company. Had to learn awk for a work assignment, so the natural choice was the O'Riely book. After struggling with it I had realized that as a novice UNIX power tools programmer, I needed a basic-to-intermediate level text with lots of examples. That's where Quigley's came to the rescue. The plan going forward is to use "Unix by example" as the stepping stone to advanced awk, sed, and Korn shell programming texts. The second phase of the plan is to buy, read, and try every example from Quigley's Perl text before investing in Oreily's counterpart text.